Our model? A man steeped in chant and the liturgical traditions of the Church: Charles Tournemire. In his time, Tournemire’s work as an improviser was well-known throughout the world, and myriad students flocked to him to learn the craft. Being steeped in the French symphonic tradition, having studied Dom Guéranger’s Liturgical Year, served as organist for decades at Ste. Clotilde in Paris, and being keenly interested in the role of the organist as a theological commentator on the action of the liturgy, Tournemire’s shadow rightly extends to this day in his writings, recordings, and lineage of students. The revitalization of sacred music in our time must take into account not only Gregorian chant and polyphonic choral music, but also the proper role of the organ at Mass, and this role essentially includes improvisation. It’s our hope that this conference will make a significant contribution towards understanding that role through the lens of Tournemire’s magnificent example. The location? A city filled with a large number of wonderful organs and a wonderful cast of French organ scholars and experts. Pittsburgh is really an ideal location for a conference like this, thanks in no small part to the work and teaching of organists like Ann Labounsky and Robert Sutherland Lord. More information on attending the conference will be forthcoming in June, but for now we’re accepting proposals for papers and recitals that relate to the topic. More information on the conference and the submission process are available here. 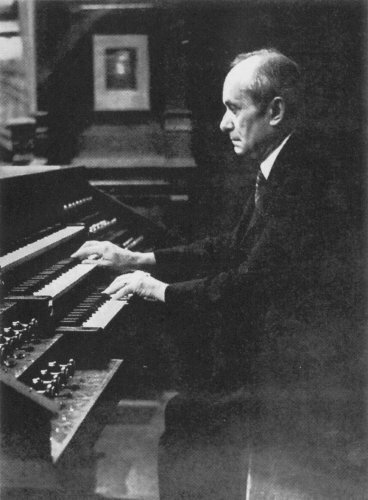 The conference will explore the aesthetic, liturgical, theoretical, and technical principles of Tournemire’s improvisations and teachings on improvisation, the use of Gregorian chant in organ improvisation, the role of organ improvisations in the Catholic liturgy, and pedagogical approaches to teaching organ improvisation. It will include liturgies, opportunities for the study of improvisation at the organ, discussion groups, and recital programs and papers relating to the conference theme. Join us! Next PostNext Are You Singing the Creed?